Valentine's gift guide for the girls. 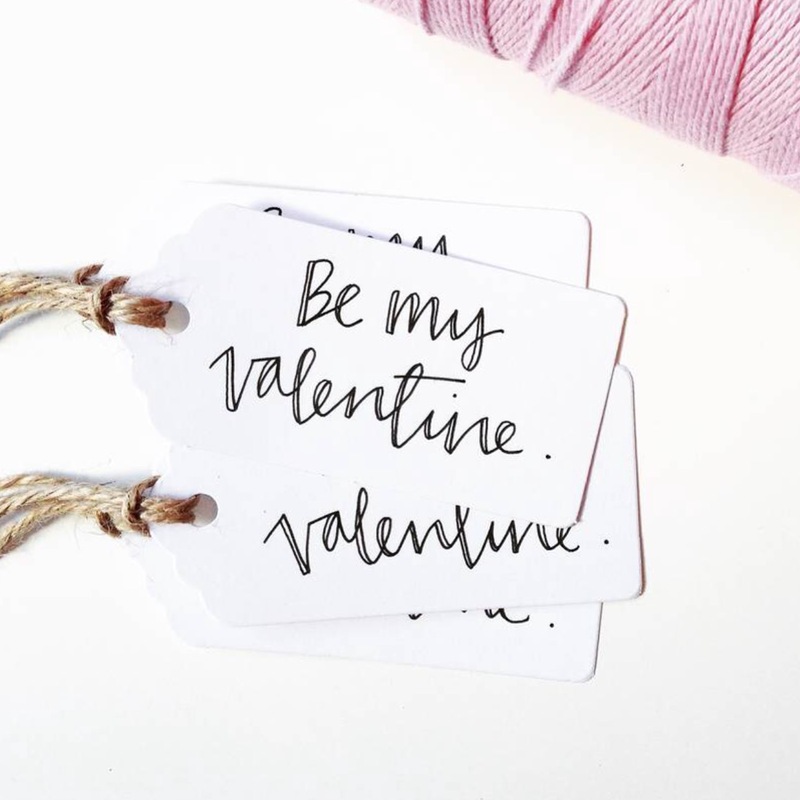 With Valentine's day coming up in a few weeks, I thought I would hop onto Not On The Highstreet and have a browse at some gorgeous gifts. It is a great website for showcasing such a breadth of independent businesses and offer such a big range of gift ideas. I always love using it to inspire me when looking for presents. Knowing that Rob reads every single one of these post before they get published I thought I would give him a bit of food for thought (wink wink) and share some beautiful bits that really caught my eye! As a fan of anything personalised I just loved this Tillyanna tote with gorgeous typography. 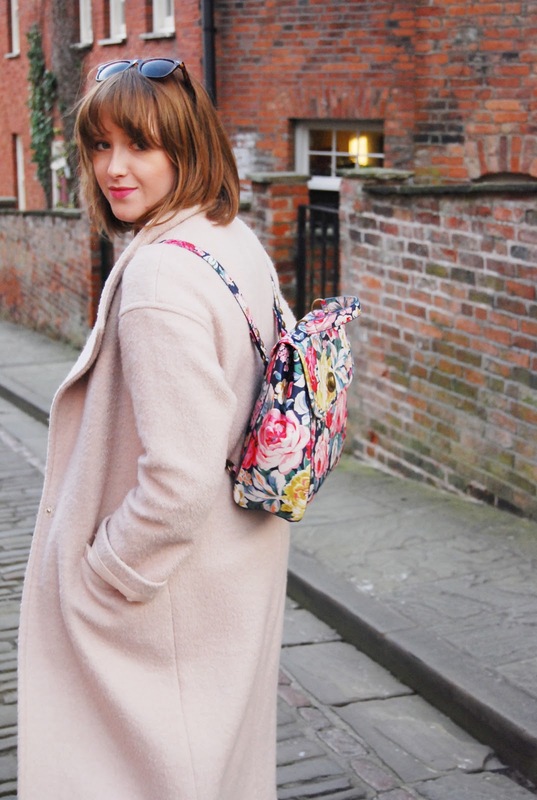 What a simple carrier with a beautiful twist and only £16 so perfect for those shopping on a budget! 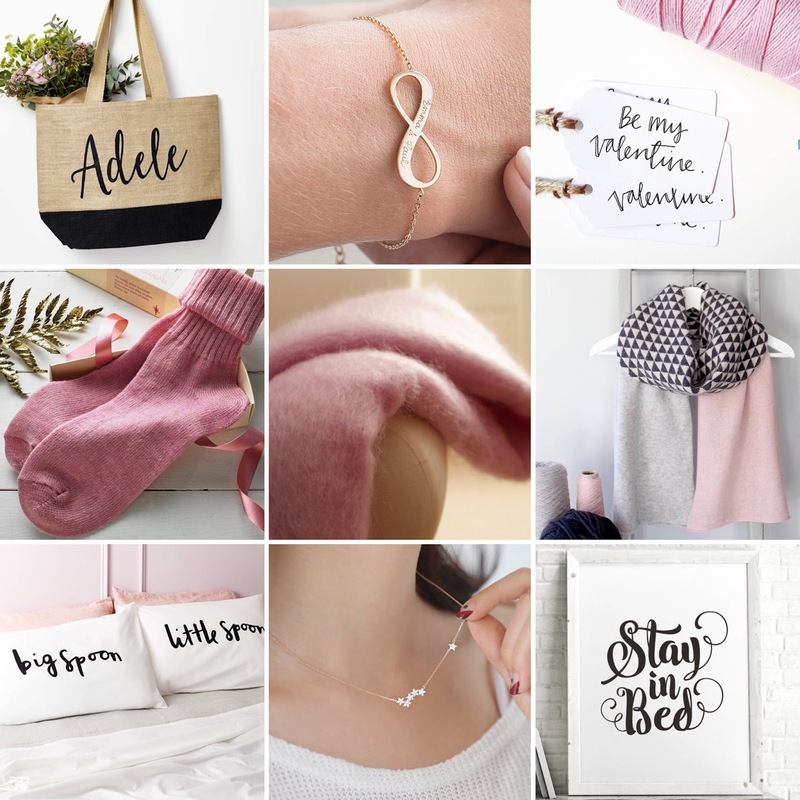 I have seen a few bits by Merci Maman pop up on instagram and I really love their personalised bracelets. This infinity bracelet is so delicate and perfect for inscribing loved one's names on. 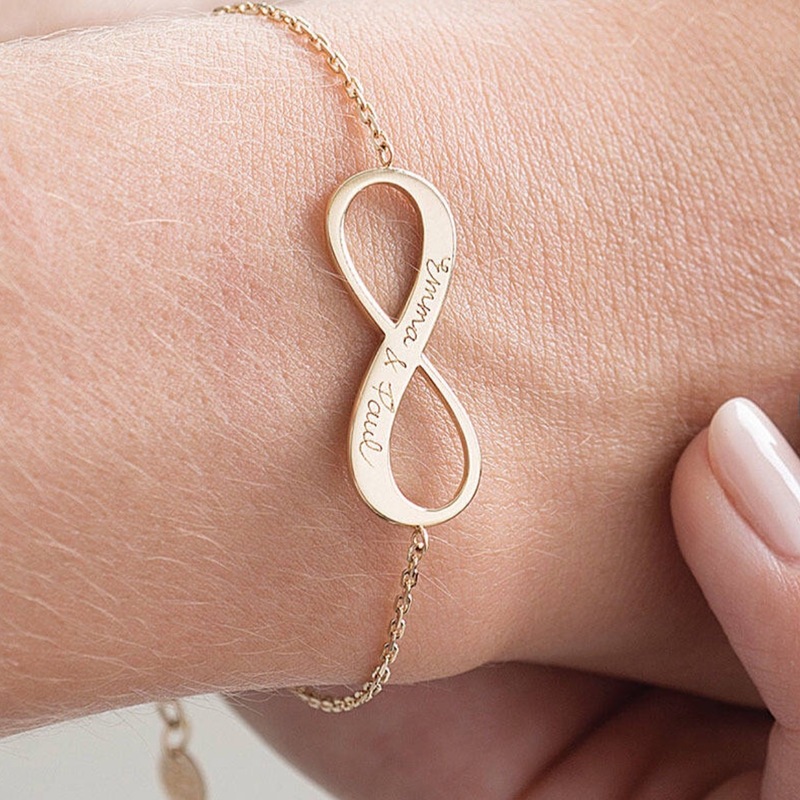 I just love it in the rose gold, but also in silver and gold. These gift tags by Linseymouse just were so simple that I needed to include them! What beautifully written tags to finish off the wrapping to these presents! Every girl deserves some luxurious comfort. 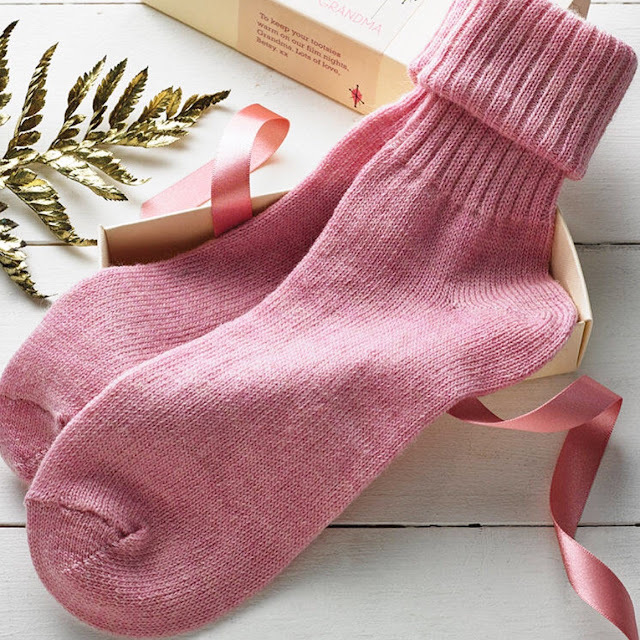 These cashmere socks by the Quirky Gift Library are a perfect gift for the girl who loves cosy nights in watching movies and snuggling. What a beautiful shade of pink and I bet they are gorgeously soft! 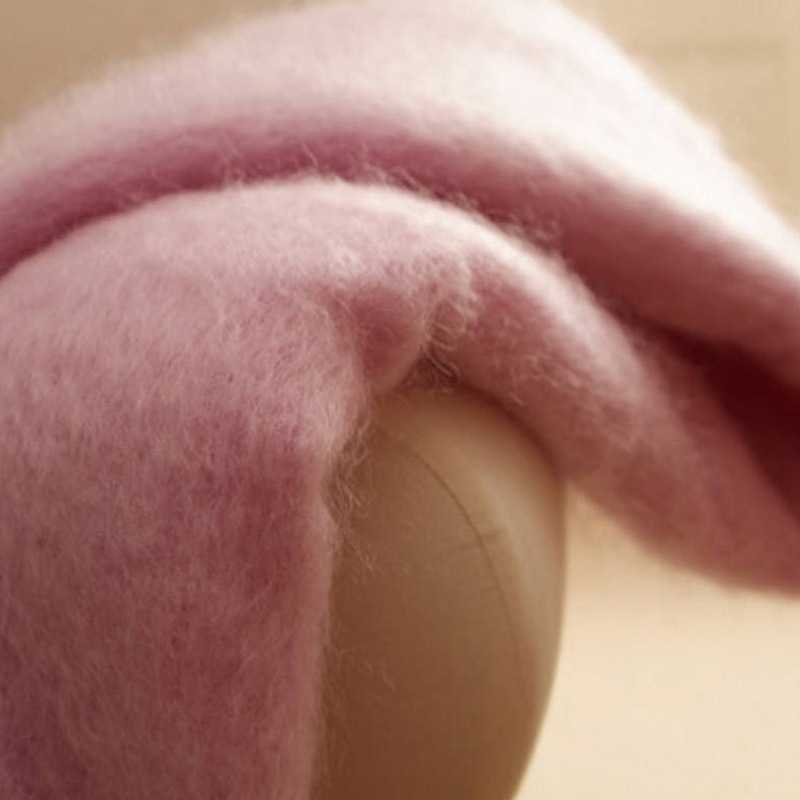 And speaking of super soft this mohair blanket looks stunning! Atlantic Blankets have produced this stunning throw ready to adorn any home. 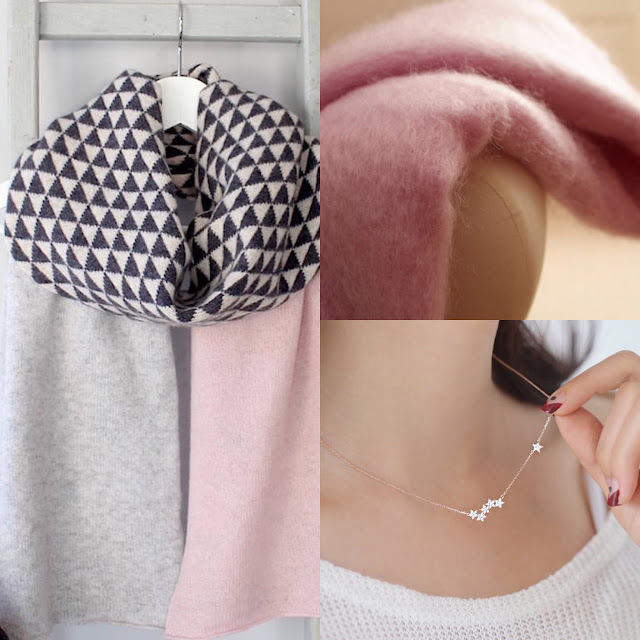 I love pink, and soft pinks especially always draw me in! Happy cuddling! 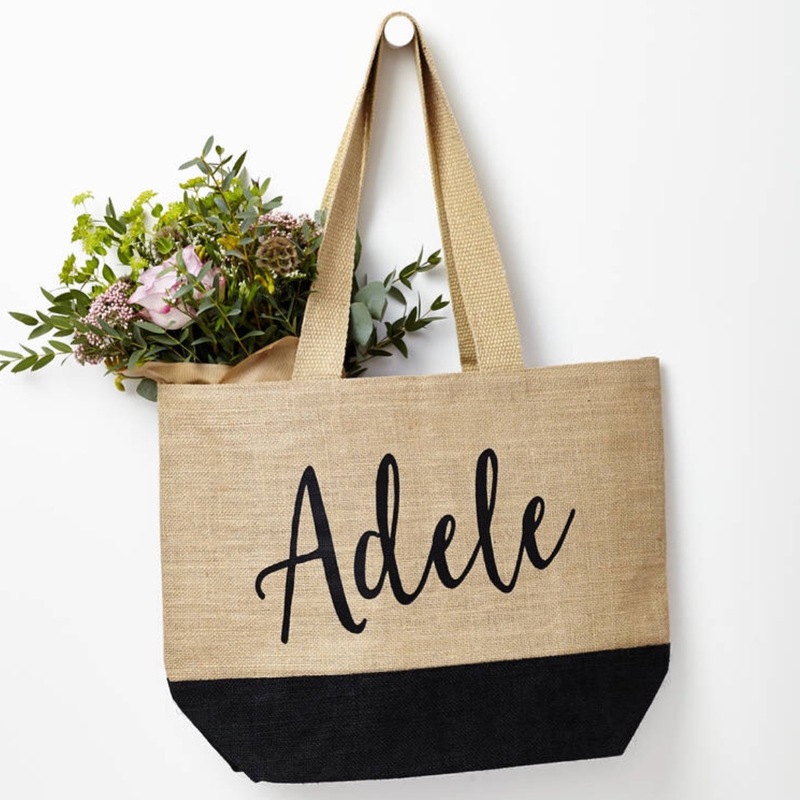 As far as wish lists go, I think this beauty is at the top! 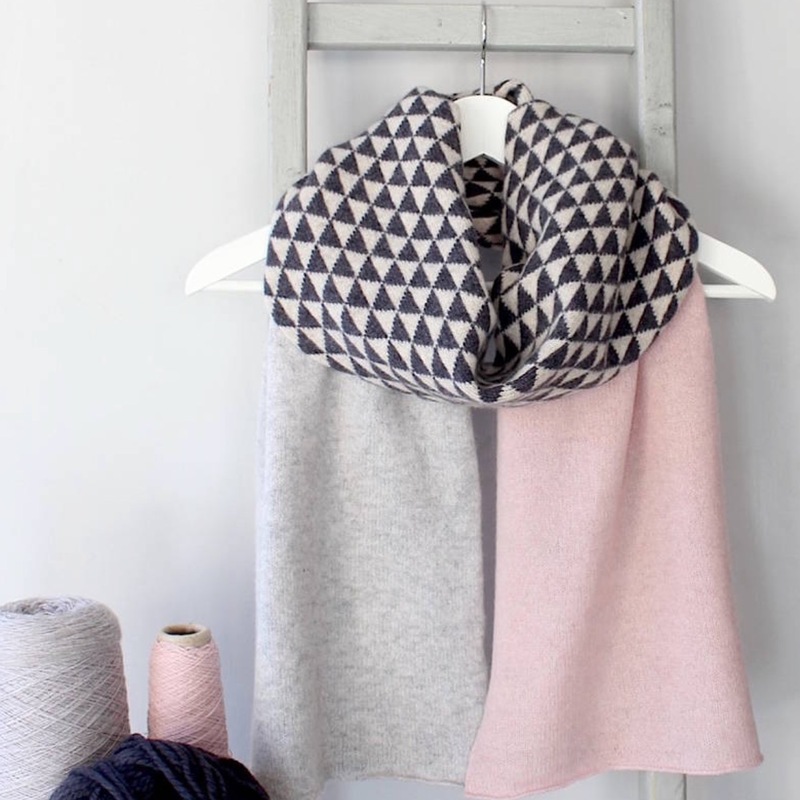 I think this is the most stunning scarf ever and Gabrielle Vary have produced a fashion piece that would seriously look amazing with my whole wardrobe! 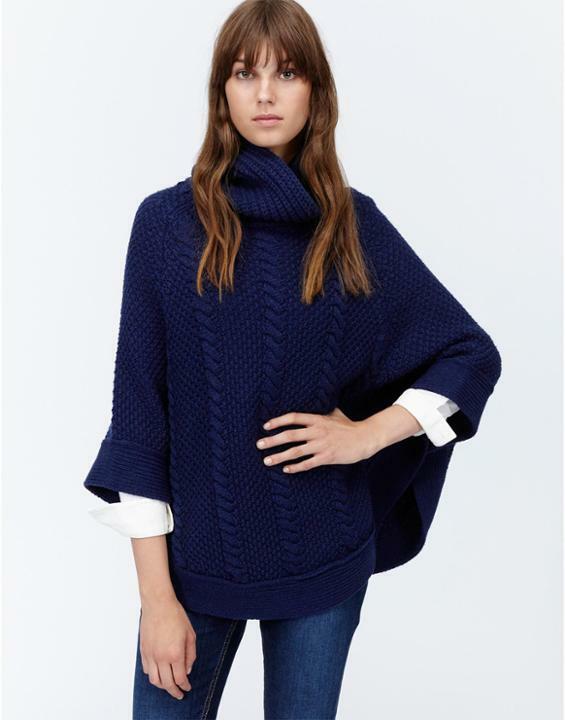 Huge amount of love for this piece of knit wear! 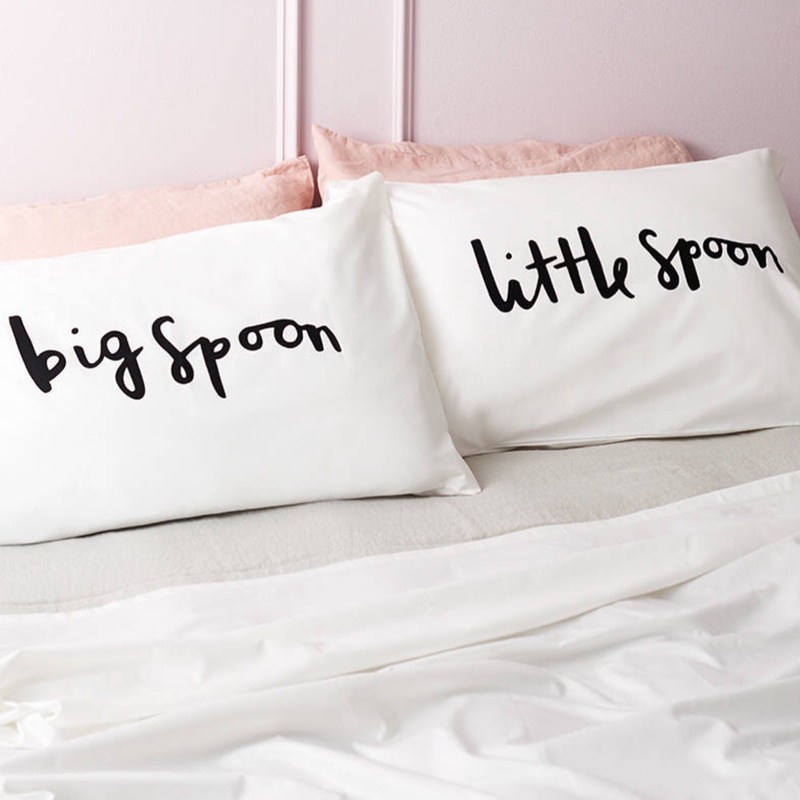 These bed pillows are so simple and cute for any bed. The Old English Company have such a wonderful idea which has been executed really simply. 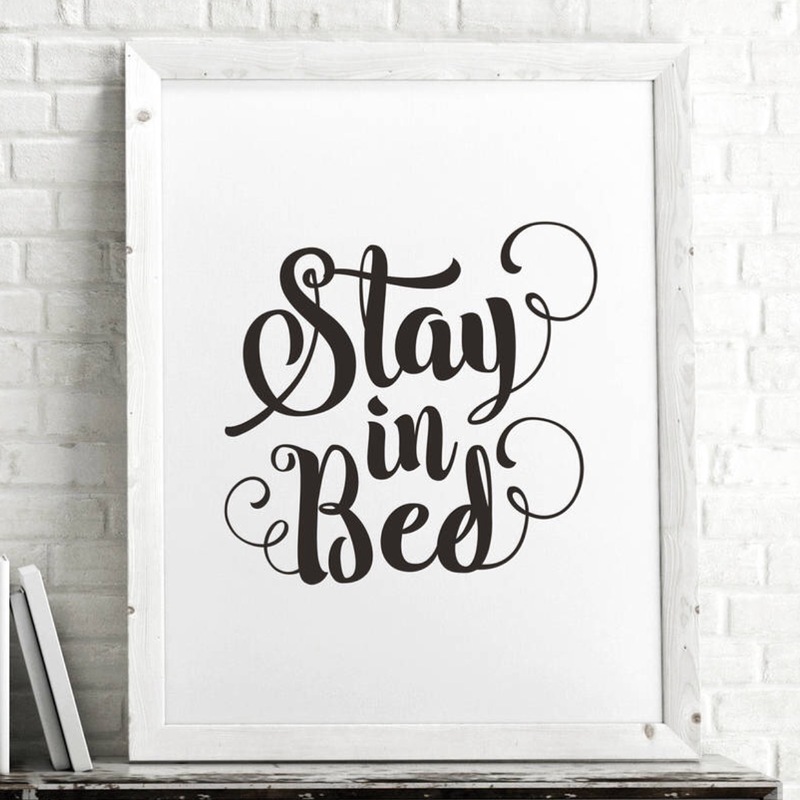 They are so effective though and I love the typography style, very romantic for bedtime snuggles. One of my most favourite pictures signs I have seen in ages. What a great print to have in your bedroom not only as a constant reminder of what I would like to do but also a happy pusher of ideas on how to spend a Sunday morning with the kids! By The Motivated Type. I think these 3 are my favourites. Is there any thing that you fancy? When does becoming a mother hit you? Sometimes a job becomes a job: you go to work, do what you need to do, go home, eat then head off to bed. You then wake up and repeat the process. It becomes a part of you, if you are lucky you enjoy it and every minute is spent just bettering your role. As a parent that also becomes a job, from the get go the woman is the main carer, her body a vessel, then a producer of food, then, the washer, cleaner, sorter, organiser, the list is endless. It is a role that naturally forms and it just becomes you. What hit me this weekend though is that I am a mother. That sounds ridiculous, I know but it was almost like the role has completely taken over me that I don't even think about what I am doing. 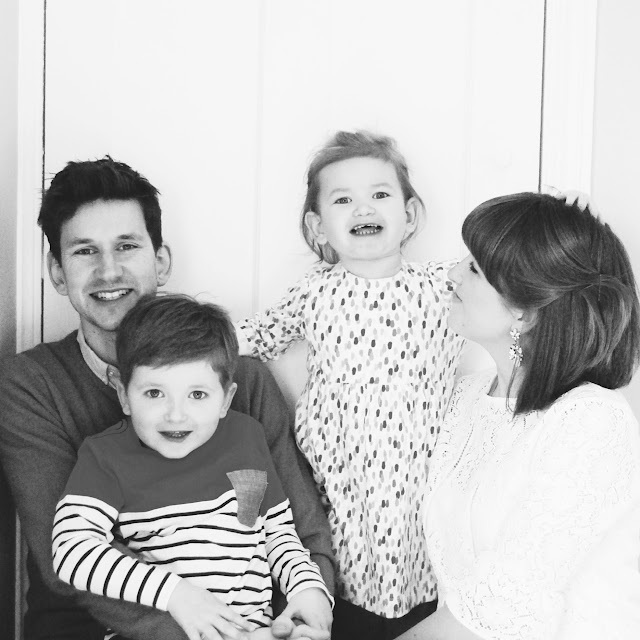 We had taken some pictures as a family, and on reflection on them I just couldn't believe it. It was almost like I had blinked and Rob and I suddenly had these 2 humans, walking, talking, these little characters that are ours. And here we are parenting them, loving our job so much that it isn't even defined as a role, it is who we are. We are a mother and father, it's like we have never been anything other. I think it isn't often we get a picture all together, that seems ridiculous having this blog, but I am always taking the photos so one of us is always out of the picture. Just seeing us together and seeing how the children are now, no comforters and nothing needed for a distraction just showed me that they have suddenly grown up and that each day is just passing us by without me working as anything other than their mother. It was just a funny moment that I thought I would share with you, this weekend my realisation I was a mother hit! If ever there was a Children's company who would become a dream to work with it would be GLTC. 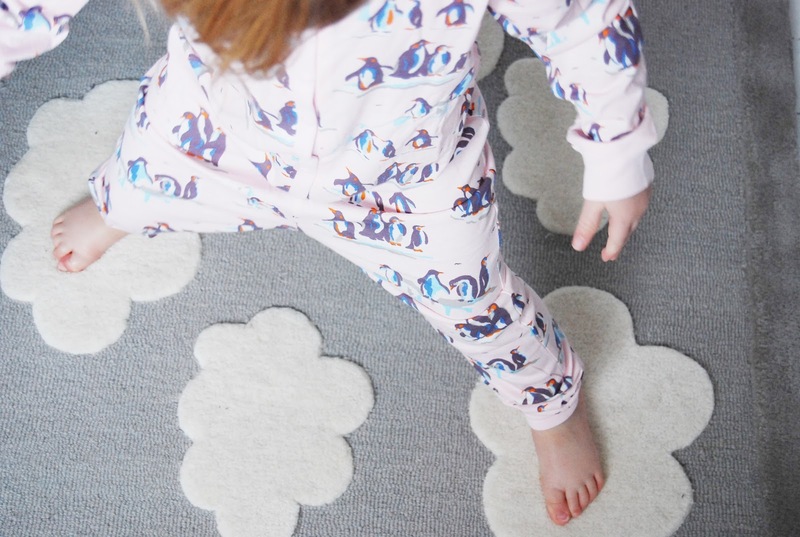 I think just going on their website you can instantly see the quality and feel that what you are buying really will bring your children plenty of happy memories. Becoming part of their Testing Team means that we will be sharing lots of their products and giving our opinions on them and also showing how we use and style them in our home. 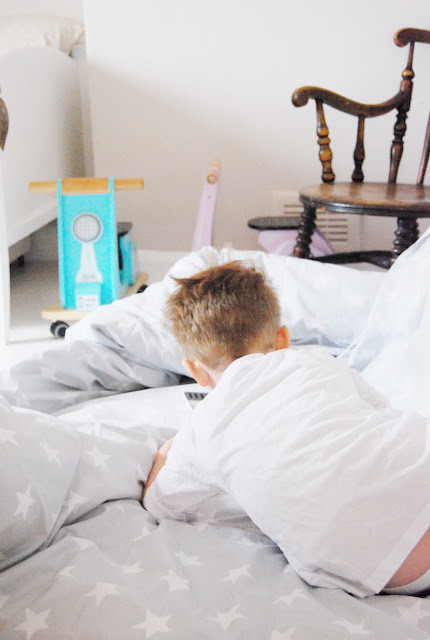 Last week I wrote a small post about Duvet days which featured a lovely grey stars bedding set, which is one of the nicest patterned beddings I have ever had! Today I want to share with you another beautiful new product that also makes up part of the children's room. 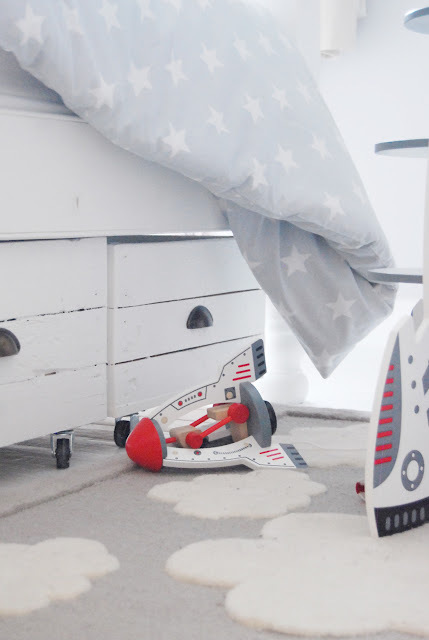 As Raphael and Giulietta share, we have a very neutral room, grey walls and lovely white painted floor boards and the kids' beds are also white with simple bedding. Like I said, very neutral so it can be quite hard to find matching accessories which are made for children, and with play in mind. 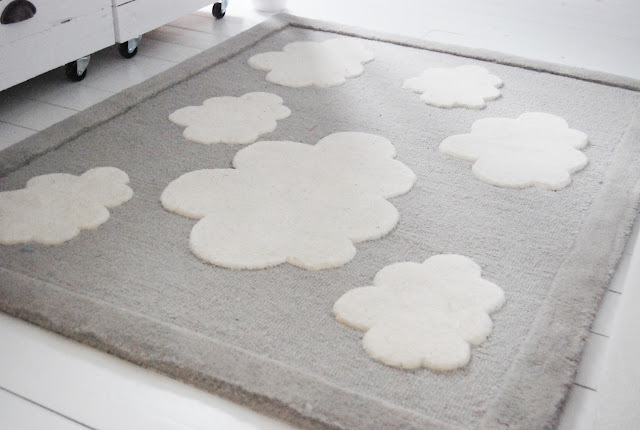 This beautiful clouds rug (we have the medium) is an absolute joy. How beautiful! 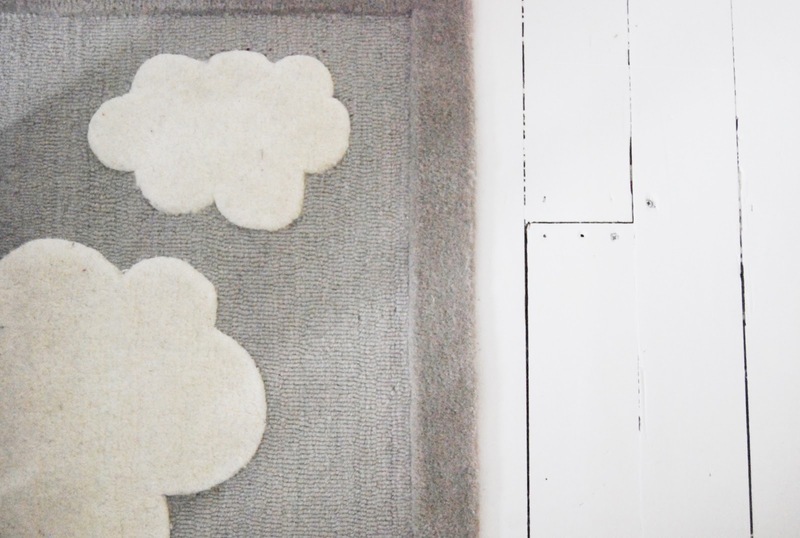 It is really simple, cream clouds on a grey background, but against our white floor boards it is so fresh and clean. Something clearly intended for a child's room and something so perfect with our theme which has to suit a boy and a girl. For Raph and Etta this seems to be a winner. 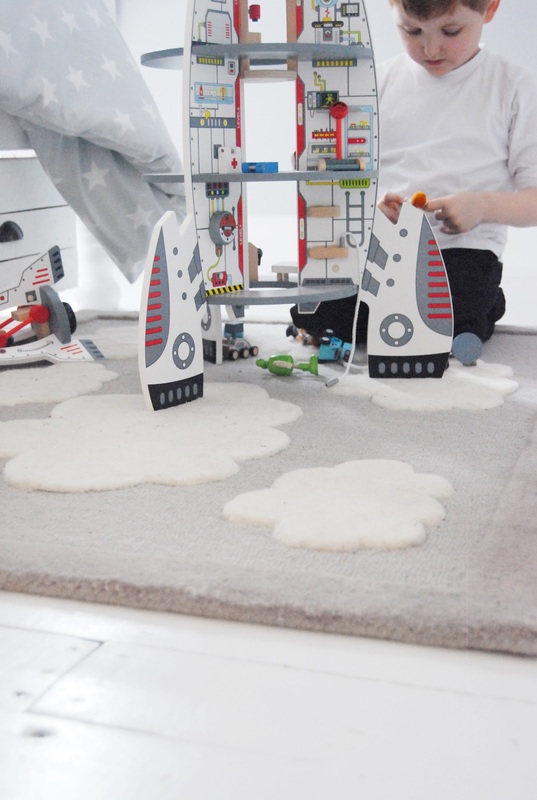 It is a very comfortable soft rug which enables them to play; rolling around and pulling quilts and toys down to it. It is a great size for their room also being able to either sit between both beds or even on the side of Raph's which is the side the door opens on to. I felt that it fills the space perfectly and it just has given the room a new look, something a bit more child orientated almost. I think as far as quality goes I have no worries, your money is being well spent is all I can say! Why not head over to GLTC and check out their other selection of rugs, which also are a lot more colourful, giving you a diverse choice to suit your homes and tastes. We will be sharing lots more from Great Little Trading Co. over the next year and I know you will enjoy reading about their products. If you ever want to shop from our blog just click their GLTC Testing Team badge on the side of the blog and it will take you straight to them. Hope you like my styling. 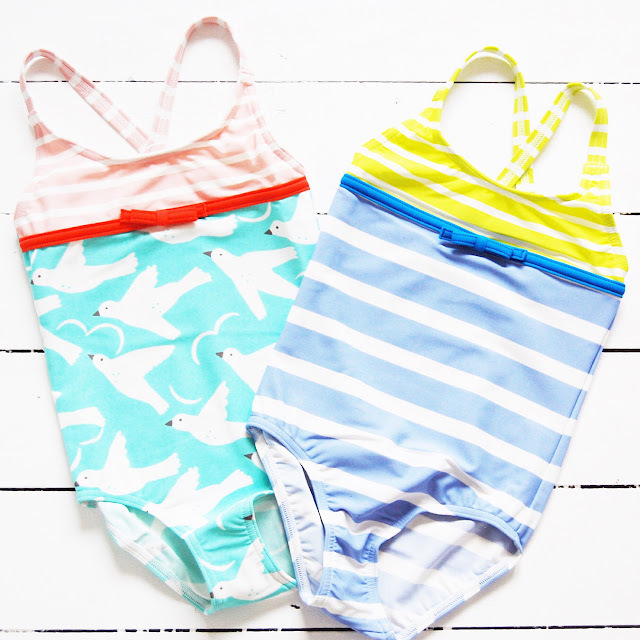 Colourful new swimming costumes for us girls! 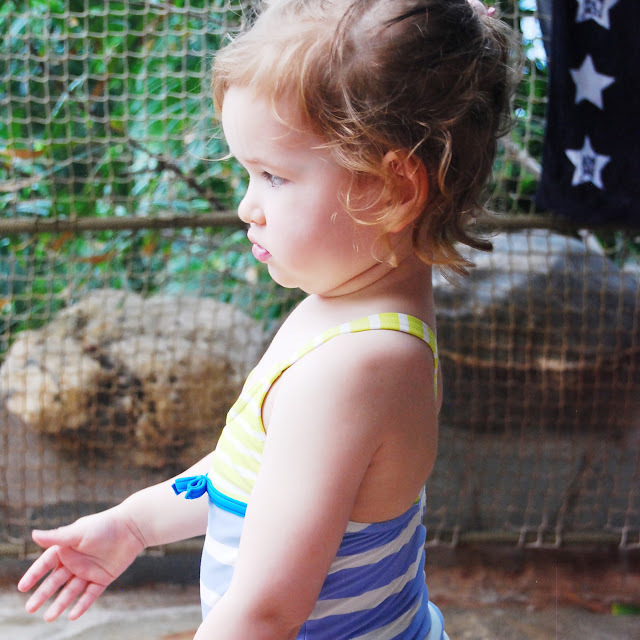 For the past few years we have taken time out with my family and spent a week in Center Parcs. It is a perfect holiday destination which is only about an hour away from us and offers a beautiful setting for you to escape busy life and feel lost in nature. Having plenty of bike rides is on the cards as well as spending time being active and just being together. Our most popular activity and where we spend most of our time is at the pool. 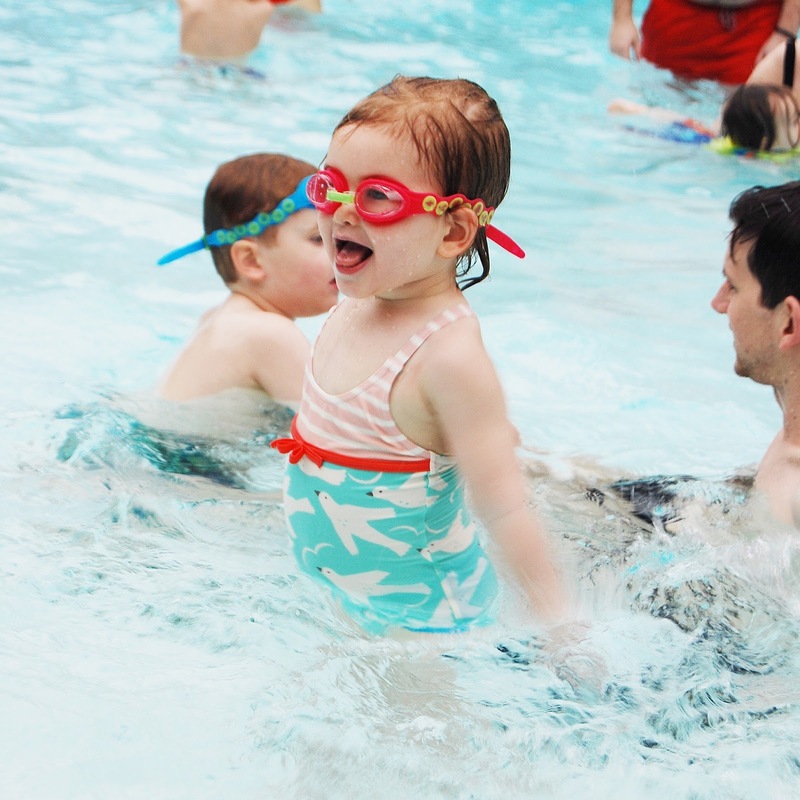 The subtropical swimming paradise is just amazing and for our kids, who adore swimming, it is really the only thing we need to do with them. As our children have weekly swimming lessons anyway, I was just at the stage of having to get Etta a new Suit as hers had lost its shape. I always struggled to find really young, child-styled swimsuits, so many are bikinis. Why for a 2 years old, I don't know. Some are one shouldered, again I rolled my eyes and I just can't be doing with anything with Elsa, from Frozen's face all over it; we have a towel and that is enough for her!! My go-to for Etta has always been Boden. I think from the very beginning we have always had swimwear from them and with the coming of the new season styles it was the perfect time to get on and order one. She actually ended up with two as I couldn't decide and I figured that they get so well used with us that it probably made sense. What I didn't plan for was going on the new season women's suits and finding a couple I also liked. Before we knew it we both had 2 new sets to try on! Our bank balance wasn't too hindered, Boden are brilliant at having discounts on their clothes VERY often so I got these at a great price. I also only ended up only keeping the suit as that was the one Rob liked and he is the only guy I am trying to impress, so I sent to two piece back (it is gorgeous though). Once away we were both keen to try out our suits. Etta's are great for little girls, beautifully simple with the cross back, bow detail and gorgeous in pattern and colour. She especially loved the light blue seabirds which is a real bonny print for the summer time. The Delphinium blue striped one really suited her though and I love the acid green top half. The costumes are just lovely and simply girly and offer that beautiful practicality to them. For me this swimsuit is extremely well fitting and very comfortable. It is pleated across the front giving me full body confidence over my stomach, it also is very snug to get on, almost feeling bonded along the edges, but because it can be strapless this is necessary. I had none of that annoying pulling up going on, it just sat on me perfectly and was so supportive. This scallop print with ruffle is utterly gorgeous too, I mean wow! What a lovely design print that is something different. I really love this design so much that I thought I would share some other pieces in the same print. These different cuts will suit a breadth of body shapes, so many of us can enjoy this gorgeous print! I think this is one of the prettiest prints I have seen on swimwear for women. 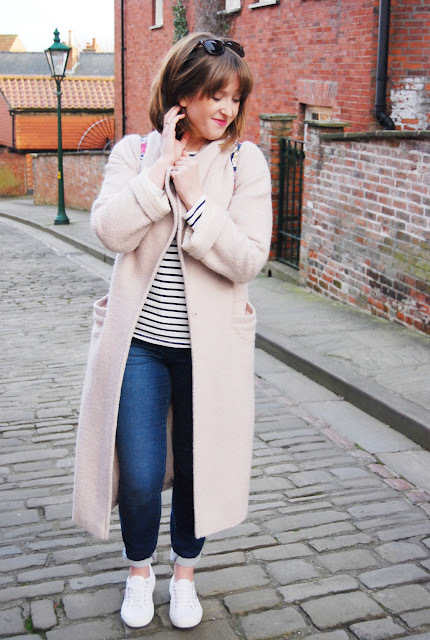 This and blue stripes are up there as my favourite and with the offer of these different styles I really think you will love it too, no matter what your shape, you could also enjoy wearing it! There are more styles on their website including Tankini's and shorts so it might be worth a peak! 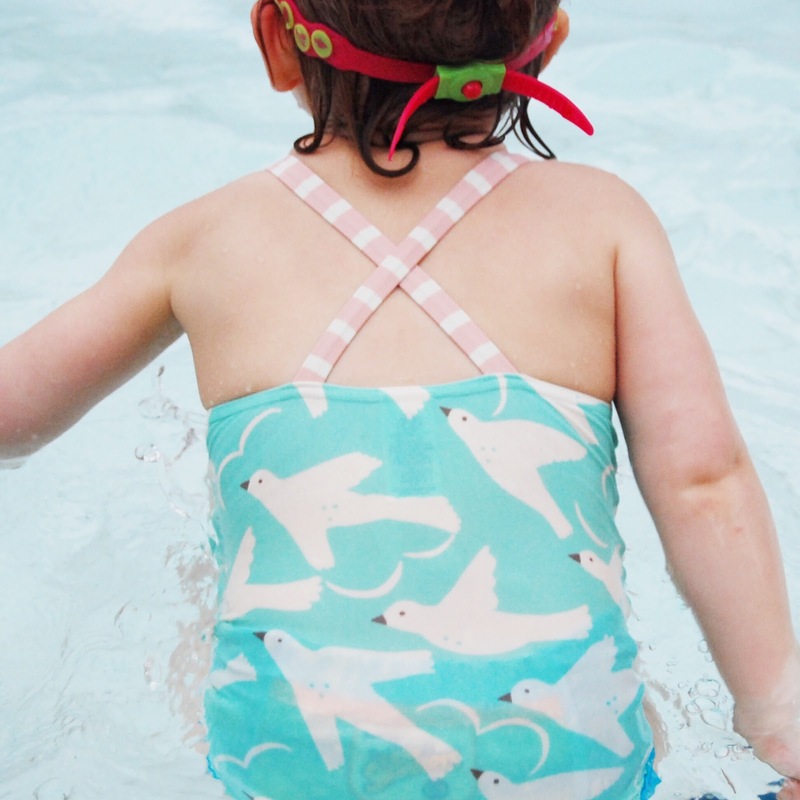 Anyway, these suits really ticked all the boxes for Etta and I and every week since we have been enjoying them in swimming lessons too! It is amazing how sometimes one simple purchase can completely reinvent the most simple of outfits. I found myself lusting over this bag a few weeks ago when a local boutique, Pretty Little, in the Bailgate were sharing pictures of their new stock. I had bought a Cath Kidston back pack for my younger sister in the Autumn months which I was a bit jealous of really so when I saw the new Greenwich Rose Print back pack I thought it was totally gorgeous. 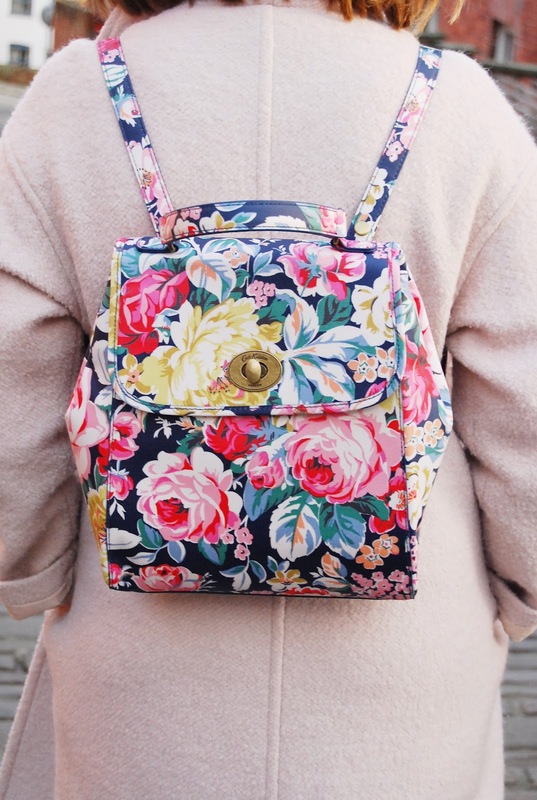 Anyway, I only got this bag a couple of days ago and already, it is becoming the most beautiful addition to my outfits. With my lighter shade coat, simple stripes, jeans and trainers this bag is turning what could be quite a simple outfit into a look that is ready for the joys of spring. You always find at this time of year, with all this mixed weather the children seem to be constantly coughing and sniffing. It's just one of those things, but when you have the crying and constant clinginess it can get so draining. Especially when usual house jobs must still go on; dinner must be prepared and work doesn't stop. It's those kind of days when blankets are out and the kids just spend a day in the house playing or watch TV. I suggested to Raph that we get his duvet out the other day as he was suffering with a chest infection. 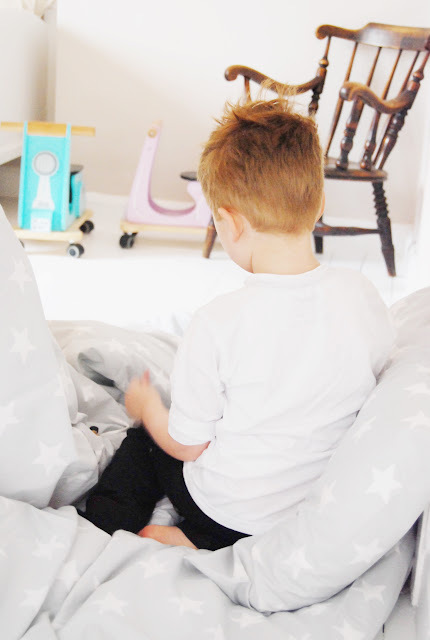 It had nice, fresh, new sheets from Great Little Trading Company on and it just looked like the comfiest thing to play on whilst Rob and I were upstairs sorting out Etta and hanging out washing. 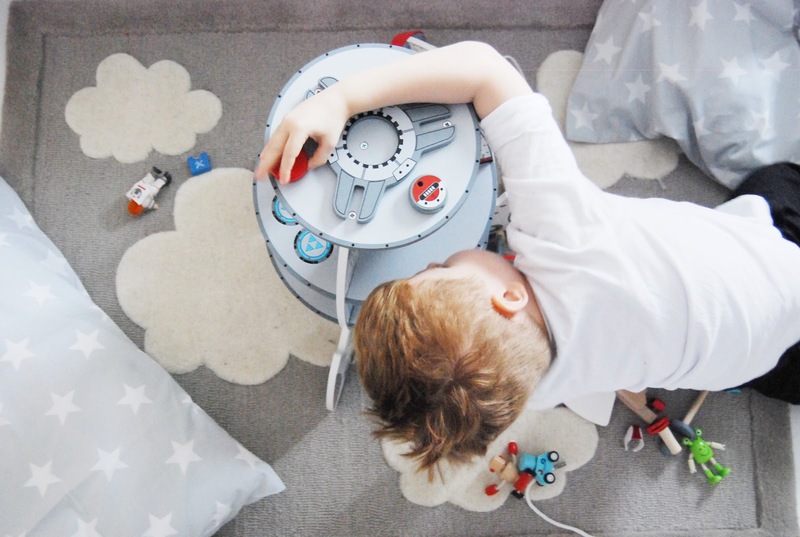 Whilst we carried on our duties, Raph just sat for ages playing with the space rocket all snuggled in his duvet. What a perfect place to be. I could have easily just sat with him for a while. He quite happily played and it proved how comfortable and relaxed he must have been as he was happy to just lay his head down. The bedding must have helped; who doesn't love fresh bed sheets? There is something about them which makes them magical almost. 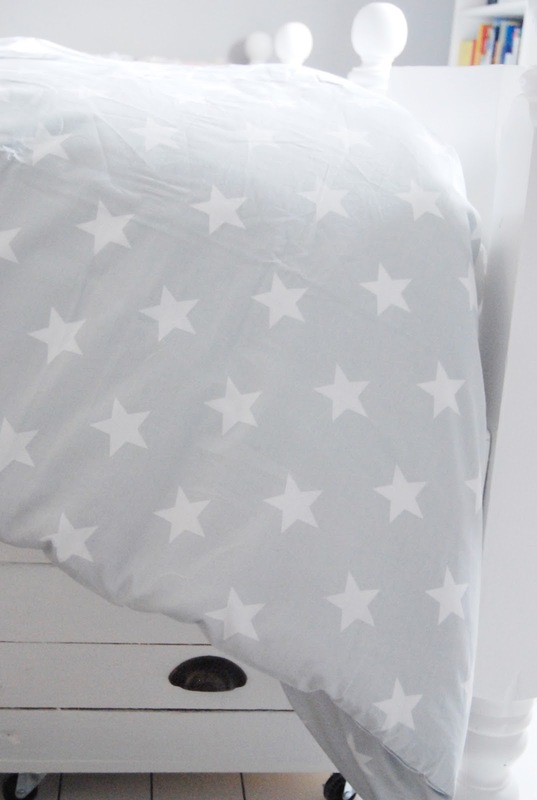 This grey star print is totally gorgeous also, and for our little space-mad boy they are very fitting. They also match the kids' bedroom nicely with all of the lovely white painted wood. After resting and playing, Raph seemed on top form. It must have been just what he needed to give him back a bit more energy! 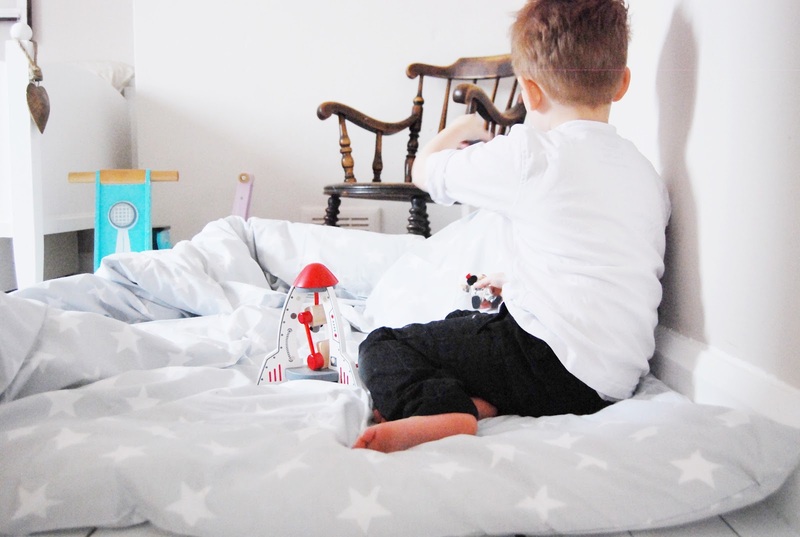 I think that might be the first course of medicine I use when he next feels unwell: pull the duvet onto the floor and let them play quietly. Obviously it was the best medicine in this case. Do your children like snuggling into duvets when they are ill? 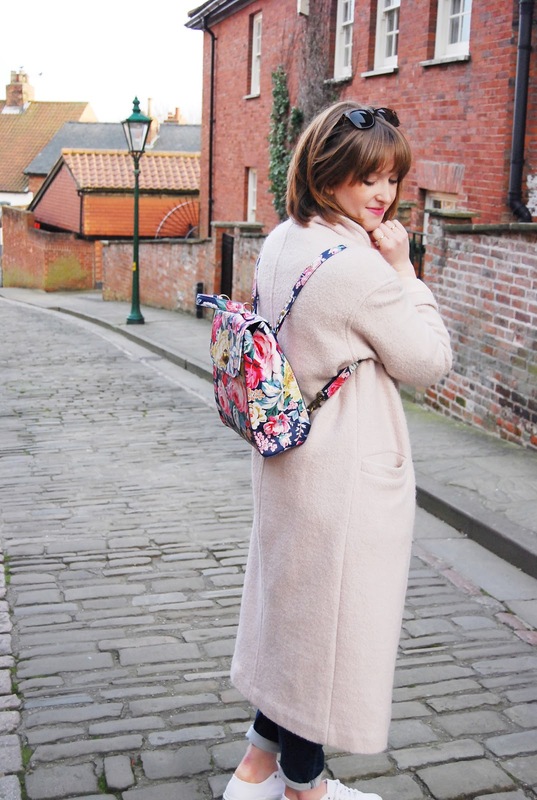 * This is a collaborative post with Great Little Trading Company, but the views are my own. 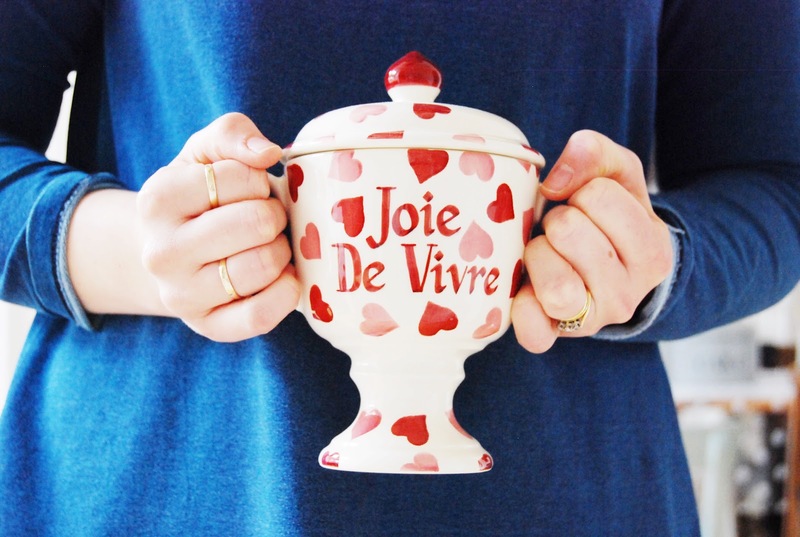 Is It Joie De Vivre? Last year's new year's resolution was to immerse myself in all things French which I achieved in little ways through the year, so I wanted to carry it on into this year as it is still something that I absolutely love to do. We have been adding a bit of French flair into our home, or cooking. Rob and I occasionally practise language with a CD we have in the car as well as poorly speaking the odd French phrase to each other. We have children's books which we try to read in our impossibly French accents, but what's it all for? Really, I think it is good to have a fun hobby. For us, living and enjoying a more french-themed life just lets us pretend we will reach our dream of owning a house there. Heading into this year I am starting to think about how it is important to enjoy life, what's now and what is possibly to come. This beautiful Pottery Trophy that my parents had hand painted for me is my most recent reminder of making each day count. Making sure we have that sense of Joie De Vivre is what life is all about. Welcoming days joyfully and making sure enjoyment ensues. Trophy available from Emma Bridgewater. Perfect poncho for fair weather. We have been so blessed with this mild January. When we were on holiday there were actually Daffodils in full bloom; I couldn't believe it!! But it is hard to get your head around this warm winter isn't it? I know I should be wearing thick coats and boots but some days a jacket has been fine and trainers, with no socks!! Crazy! Once the end of January begins to appear it is really nice seeing all the shops getting their new spring wear in, but no matter how mild it is, it still isn't time to be wearing just a t-shirt! 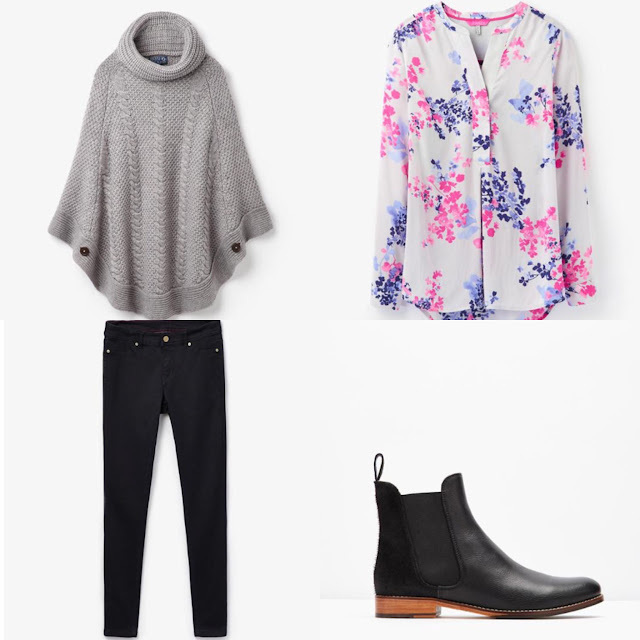 I have been looking at finding some nice outerwear, things that are really versatile and perfect for pulling on with jeans and boots. 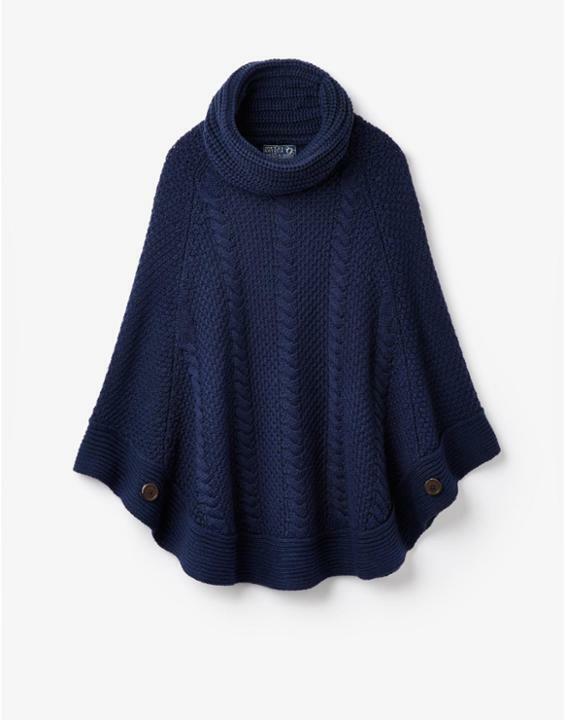 After seeing this Tessa Poncho appear in the JOULES AW15 collection I was very envious of bloggers who had it and were styling it beautifully. 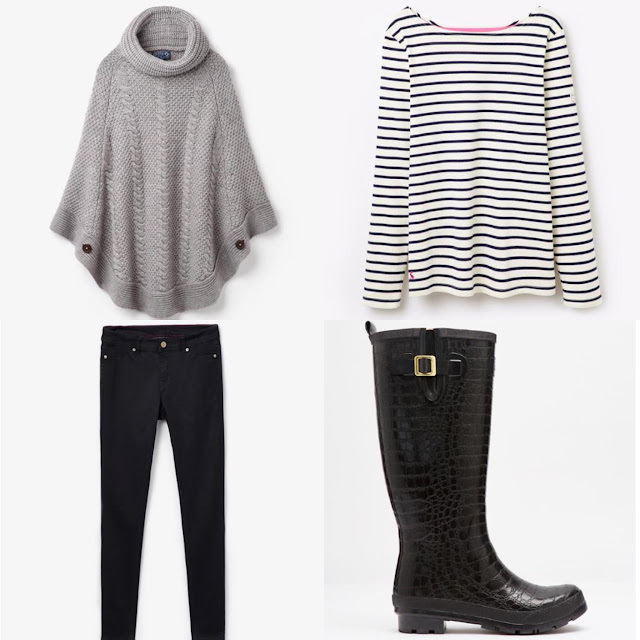 It seems like the most versatile piece for day wear whether it is cool or warm. 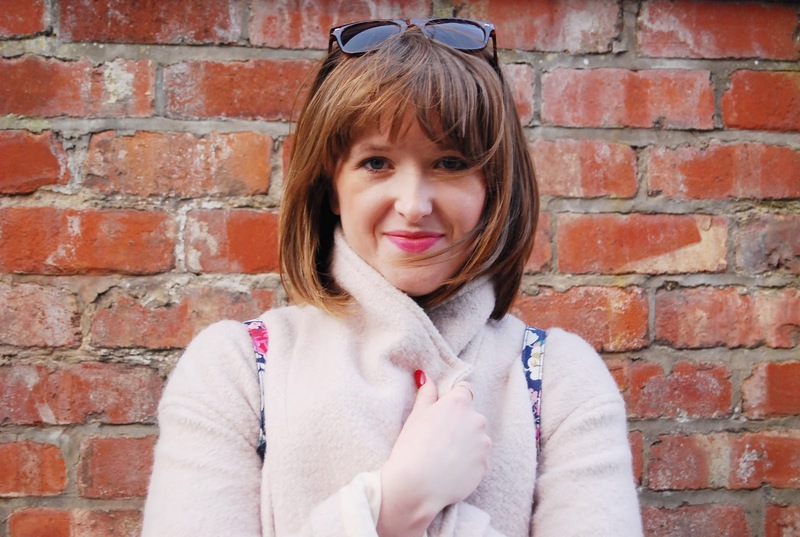 You can layer it up with thinner jumpers underneath and team it to a pair of ankle boots, like my Leopard print ones, or you can pull on a pair jeans with some bright white trainers and have a more spring time look! I think these ponchos look amazing and have a beautiful simplicity about them. What is not to love? 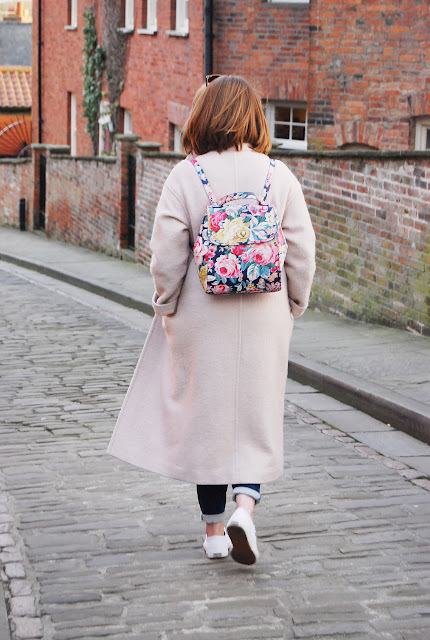 One piece to keep the chill out whether you are at home or running to pick up a fresh batch of tulips, this is one wardrobe essential that I think you will love. But which colour to get?? 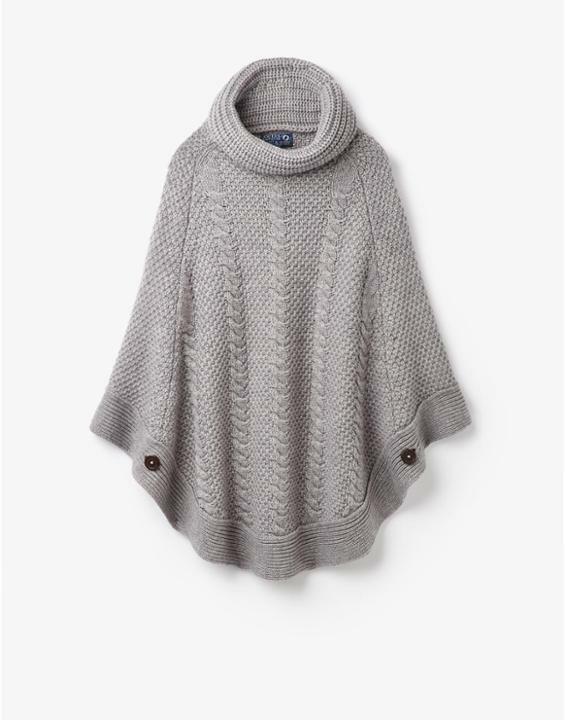 I am a huge lover of grey and the softness of the knit in this colour really appeals to me. Imagine all the soft spring shades that will go with it! Or even classic black and white, I always love monochrome styles. The navy blue also appeals to me because of my colouring. I always find navy suits me and as a clothing colour I love it. 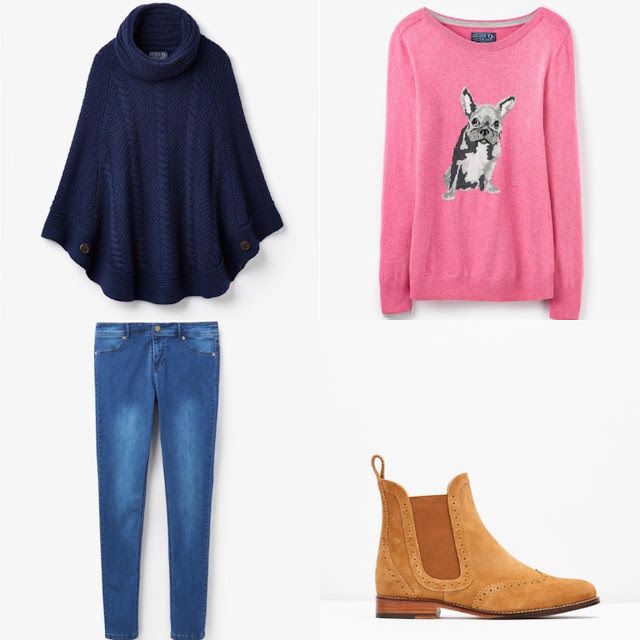 I have been browsing through the Joules website and have made myself an outfit wish list. All these new bits are so gorgeous, and with the poncho as an extra layer they are brilliant ideas for the winter to spring wardrobe update. Oh it's so hard to not enter everything into my shopping basket! 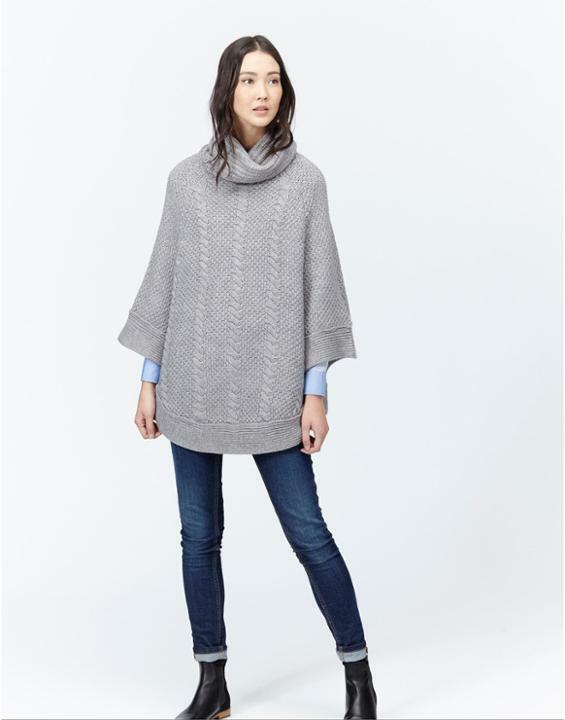 I Just love how 'easy to wear' this poncho looks and would love to try it with any outfits like these. 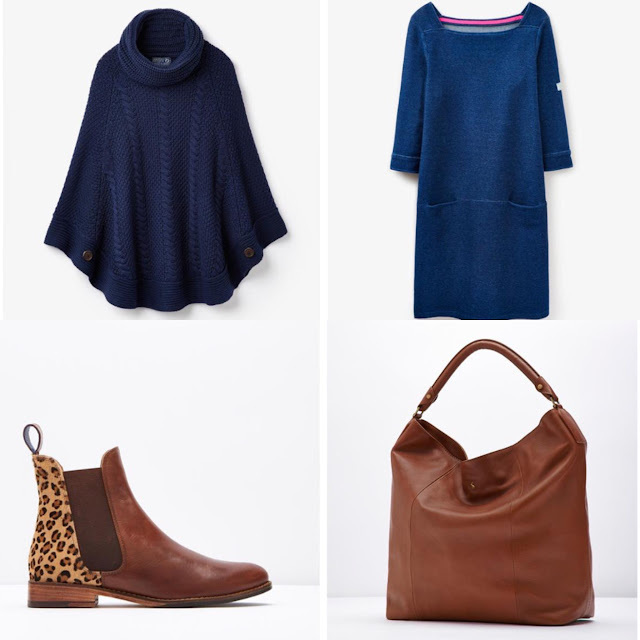 If you fancy trying out any of these new spring styles head to Joules now for the latest looks. 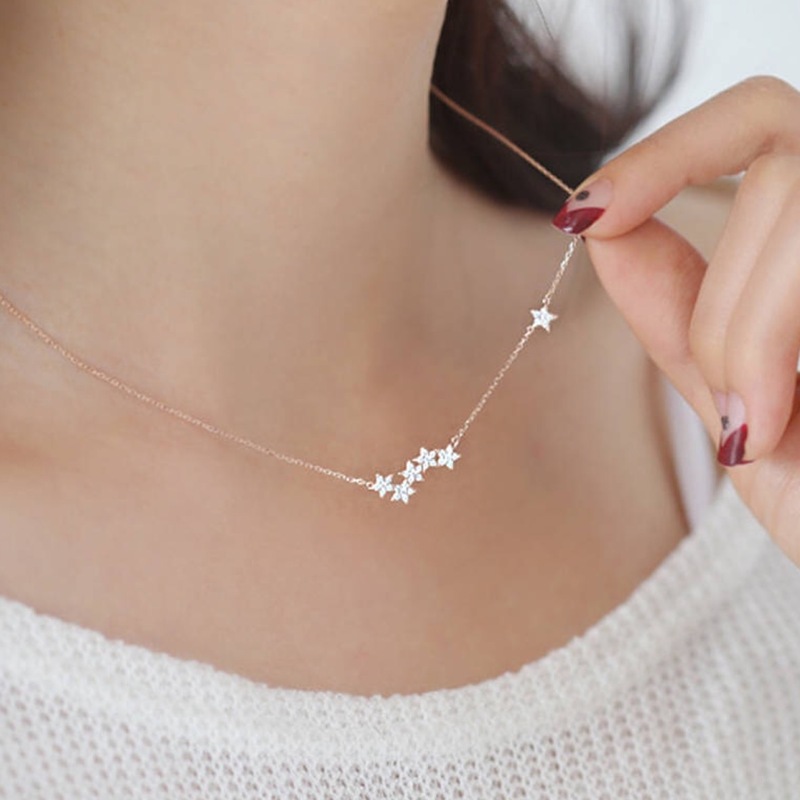 The trend I am falling in love with. You Used To Call Me On My Cell Phone! Scents to make me think of spring. Tiny Tea Set For A Little Mother.